Today I was came aware of the ESPcopter crowdfunding on Indiegogo. 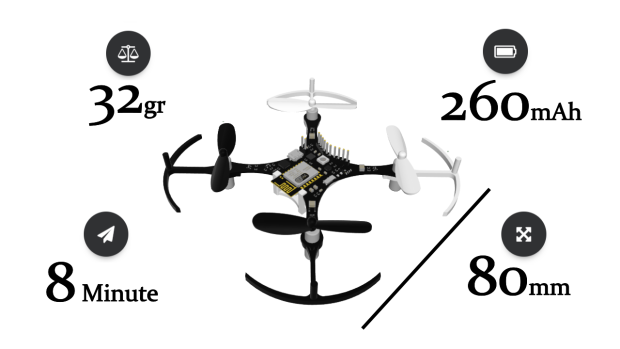 The Espcopter is a unique small size mini drone that is a wirelessly networkable, interactive and programmable drone and what’s more Espcopter is suitable for IoT applications you can develop whatever you want to make. • On-board low-energy radio@1mW based on the ESP8266-12E. • Expansion header 2×10 pins 1.27mm (0.05”) pitch including power, I2C and UART.